Diamond Ranch Academy is a premier youth residential treatment center that also offers elite private boarding school services to its clients. Troubled teens who are having problems with addiction and behavioral health disorders such as depression, anxiety, suicidal thoughts, rejection, and other disorders are treated at the academy. The philosophy at Diamond Ranch is that just because teens are in recovery treatment does not mean that they have to miss out academically. So, the academy provides state-of-the-art treatment along with elite academic programs for teens to help them realize their true potential. Apart from academics, students are involved in athletics, different clubs, and arts activities. Through therapeutic activities and holistic approaches to treatment and education, teens are provided with opportunities to learn, work and play hard. The academy offers six treatment programs that are targeted to specific age groups of boys and girls. Generally, teens between the age groups 12-18 are enrolled in these specific treatment programs. The large campus offers top-of-the-line facilities and resources for teens to enhance their opportunities for success. The educated and licensed staff members work closely with students and parents to heal individual and family relationships. At Diamond Ranch Academy, students are taught real-life skills so that they can achieve their goals and ambitions. 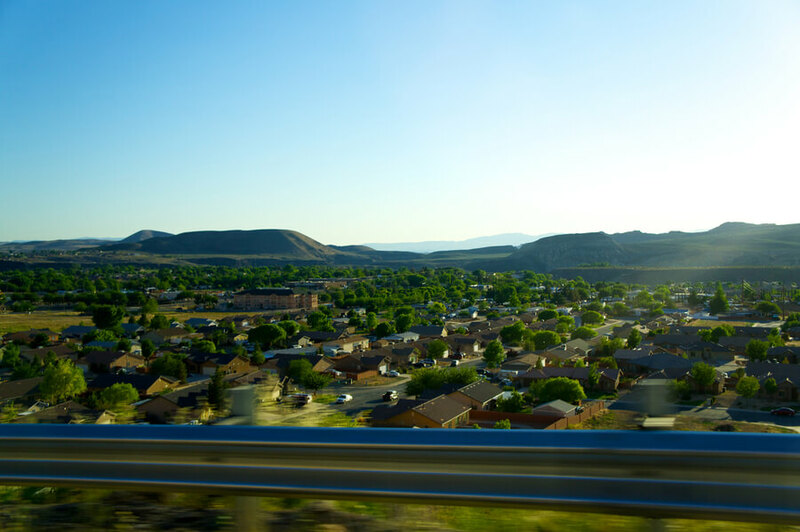 Diamond Ranch Academy is situated on 55 acres of beautiful land in Hurricane, Utah. The academy can house up to 198 boys and girls. Dorm rooms are available in the main building where boys and girls stay in segregated units. The rooms are furnished with twin sized beds and closets for each student. Bathrooms are shared among students. Separate common rooms are available for boys and girls. All common rooms are comfortably furnished where students can relax in their free time. A number of therapeutic indoor and outdoor activities are provided for students. An indoor gym equipped with the latest fitness gear provides students with the opportunity to achieve physical fitness. There is also an indoor basketball court, a football field, a golf course, and a skate park. Students are offered a number of recreational activities such as dance, Zumba, yoga, swimming, tennis, volleyball, and skating. Diamond Ranch Academy has a team of kitchen staff who prepare healthy, nutritious, and delicious cuisine for students. The meals are served in a cafeteria. There are a number of food options to choose from at all meal times including a variety of salads, main entrees, and drinks. Students eat in the gender-specific dining halls. Diamond Ranch Academy offers private and elite boarding school facilities to troubled teens during their treatment process. Each student has a personalized plan crafted for him/her which includes different modalities and therapies as part of treatment. The monthly cost for a typical treatment plan is $6,600 to $12,500 which is paid through self-pay options. The Academy recommends Prosper HealthCare Lending which is the leading financing company in the behavioral healthcare industry. They fund and offer loans to indigent families for similar treatment and academic programs. The Admissions Department at Diamond Ranch can be contacted for further financial information and payment options. Diamond Ranch Academy offers premier treatment services to troubled teens in a safe and private environment. They are able to continue their academic education through a comprehensive curriculum taught at the Academy. Students are offered a huge range of resources and opportunities where they can indulge in various academic and therapeutic activities to realize their true potential. They are given positive outlets to vent their emotions and excel in their field of choice. The Academy offers six separate programs for girls and boys between the ages 12-18. The teachers and counselors are highly qualified and licensed who coordinate services for each student on an individual basis. The Academy’s staff also includes Licensed Clinicians and Medical Professionals who are involved in the clinical aspect of students’ treatment. Students are provided with an elite school environment with each one of them offered a personalized therapeutic approach to help them become their best selves. Cody Wardle has a Bachelor’s of Science with an emphasis in Business Management from Western Governors University. He is a Certified PCS Instructor and a Certified First Aid Instructor. He has served at several positions at the Diamond Ranch Academy including the Head Staff, Assistant Program Director, Program Director, and Director of Operations. His interests include athletics, CrossFit, hiking, biking, and wake surfing. Reeve has a Bachelors of Science and a Masters of Education from Utah State University. Before joining Diamond Ranch Academy, he served as a special education Teacher Assistant at the Washington County School District. At Diamond Ranch, he served as a Program Director and Special Education Teacher before being designated as the Director of Academics. His interests include reading, acquiring new skills, and spending time outdoors. Ephraim Hanks has a Bachelor’s Degree in Behavioral Science from Utah Valley State College. He also has a Master of Social Work and a certification in Marriage and Family Therapy from the University of Louisville. He has a lot of experience working as a therapist, school counselor, youth counselor, couples and family counselor, and in psychoeducation.